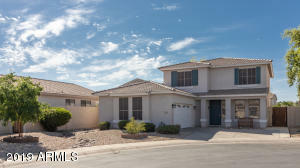 If you are looking for the best deals in IRONWOOD VISTAS , contact us anytime. We would be glad to show you any properties you like. No more searching for the newest listings of IRONWOOD VISTAS listings for sale. We have them all right here for you. Updated throughout the day for your convenience. Check back often. These listings for sale in IRONWOOD VISTAS are a steal around $350,000. If you're looking for a IRONWOOD VISTAS home? We may just have the home you're looking for. Providing a wonderful selection of listings is our top priority. We look forward to finding that home that fits your needs. It is our pleasure to help you with the real estate process. Providing you a good understanding of the market conditions is very important. We always strive to provide services that are above industry standards. Let us be your IRONWOOD VISTAS real estate professional. We will help you find your dream home in IRONWOOD VISTAS. Remember, if you like any of these listings. We can schedule a time to view the listings with you. Contact us, The Rod Team.